Arrive Delhi Assistance on arrival at the airport followed by transfer to your hotel. Overnight al the hotel. Morning proceed for a Sightseeing tour of Old Delhi, a multi-layered city. Our first stop is Red Fort built by the great Mughal Emperor Shah Jahan when he shifted his capital from Agra. A short drive brings us to the Great Mosque-the Jama Masjid. Drive on to see the memorial built for Mahatma Gandhi at Rajghat. 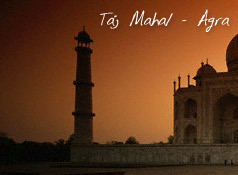 Afternoon sightseeing tour of New Delhi includes a visit to Qutub Minar and Humayun Tomb. Evening at Leisure. Overnight at the hotel. 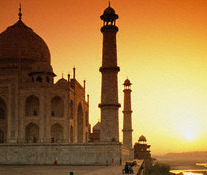 Drive to Jaipur and on arrival transfer to hotel. Rest of the day free at leisure. Explore the local market in the evening. Overnight stay at the hotel. Morning excursion to Amber Fort. Enjoy elephant ride over there. Later in the day proceed for a city tour of Jaipur visiting the observatory (Jantar Mantar), built in 1726 by Jai Singh, a notable astronomer King. The City Palace is a visitors' delight. Within the walls are several Palaces and museums resplendent with collections of the princely era. Drive to the PalaceofWindsfHawa Mahal), a five story high palace having a facade of windows and latticed screens which allowed the Ladies of the Court, in bygone days, to sit and view the streets of the city. Overnight at the hotel. Morning drive to Delhi. On arrival transfer to a hotel for wash & change (lobby use). Rest of the day free for independent activities. Do your last minute shopping. Late night transfer to Airport to board flight for your return journey.